You operate a business where first impressions are key. You aren't often rewarded with second chances. Consistently great service and just the right amount of niche are what helps you build loyal customers. We will give you a competitive edge by ensuring that you'll stock hard-to-find, limited craft beer. You'll have products that are only found at the brewery themselves. People are constantly craving innovation - something new and unique - all while in the same comfortable, familiar setting. Social media has revolutionized the restaurant industry and created the ability to either make or break your establishment. You need to be competitive and offer a product unique to your brand. Just like you work hard to create an ambiance and to deliver quality food; so why accompany that with a generic beer that can be found at every other restaurant? 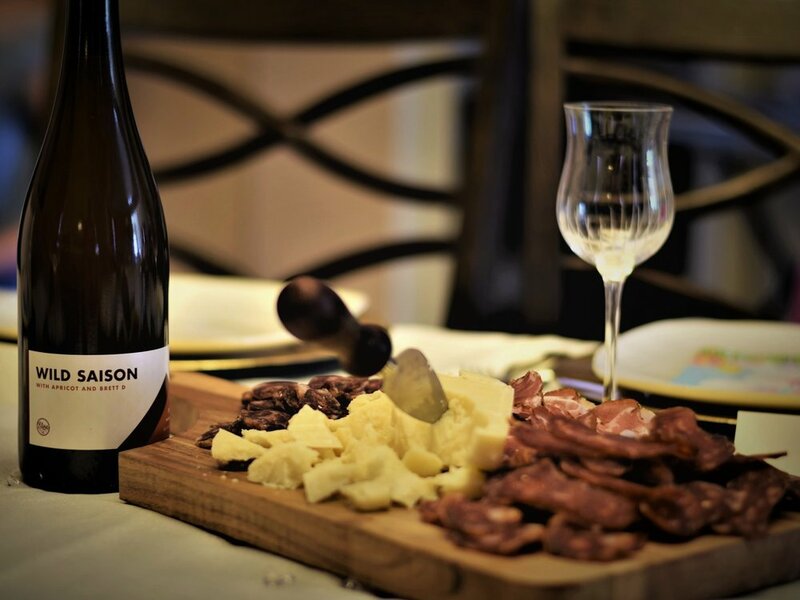 Wild Saison's really lend themselves to salty meats and aged cheese, we'll help you create unique pairings just like this. This Saison is one of a kind and aged one year from Elora Brewing. We're busy working with breweries all over Ontario; staying up-to-date with the newest styles and learning what people like, why they like it, and how we can pair it. Let our expertise in everything beer help elevate your customers' experience. What is the current state of Ontario's beer market? There is a strong growing trend in using locally sourced food with a growing appreciation for all things artisan. There's no reason your drink menu should be any different. By teaming up with us, you're guaranteeing your right to boast not only the most impressive drink menu, but you will be able to proudly say, "we serve local artisanal beer!" The amount of craft breweries in Ontario is trending upwards of 300 by 2019 and there's no sign of slowing down. Compared to that of the United States, Ontario still has a long way to go. Ontario craft beer sits at just below 8% of the whole market, whereas the USA is at about 23%, with some states being upwards of 40%!